Enjoy a free pillow made with the same quality and materials as your seat. 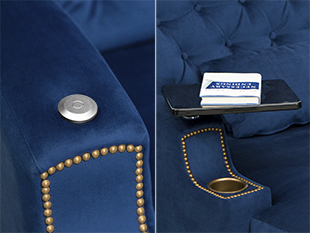 The Seatcraft Cuddle Seat is the latest addition to any home needing an exceedingly cozy and fun chair. The Cuddle Seat provides you with a supportive sit while surrounding you in cloud-like comfort that makes perfect space for reading, relaxing, gaming and watching a movie cuddling with the family. This ample seat comes in multiple materials and color options that cater to your style and enhance your home. This cuddle chair was created with comfort in mind, hence we use quality foam that will seat you comfortably after years of use. 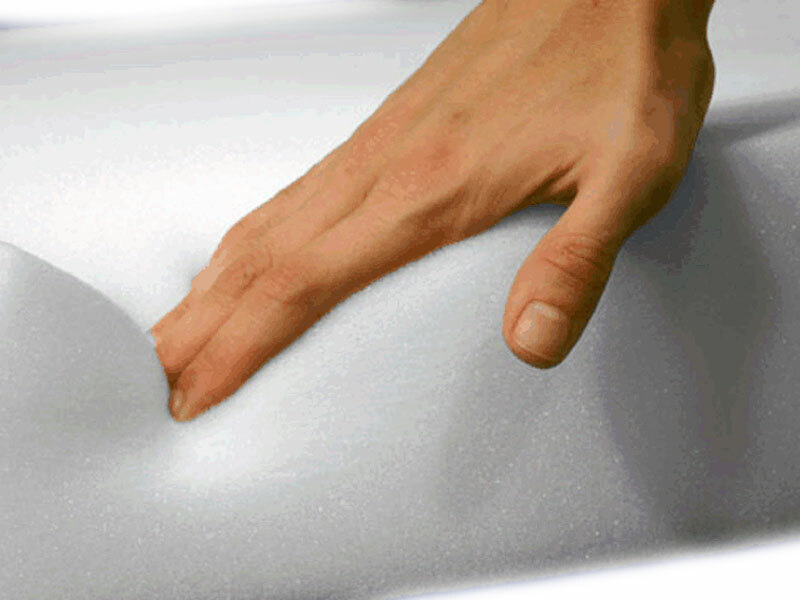 The Cuddle Seat comes with heavy-duty zippers to remove covers for ease of maintenance and cleaning. Fabric is a sterling choice for those looking for a multi-purpose material that offers a diversity of options to choose from. Fabric is renowned for projecting an informal, laid-back feel that is both warm and inviting; more than any other material, it reminds one of the comforts of home. It is not limited by this reputation, however, as it can be fashioned into a dazzling array of texture, color, and pattern choices that can combine to mimic other fabrics with ease. The tough, resilient texture of burlap and the soft, velvety touch of suede can be equally replicated using fabric, at an outstanding value. Grade one of the fabric series features solid colors like Dove, Pewter, Navy, and Ocean, which will drape over your home theater seat with an elegant grace. At the same time, light differences in grain and stitching give each choice a distinctive flair. That distinctiveness extends into grade two of the fabric series, which focuses on a wide array of attractive pattern designs. Stripes, diamonds, cowhide, and zebra shapes, combined with their variations in color and texture, will be sure to match any individual taste and style needs. 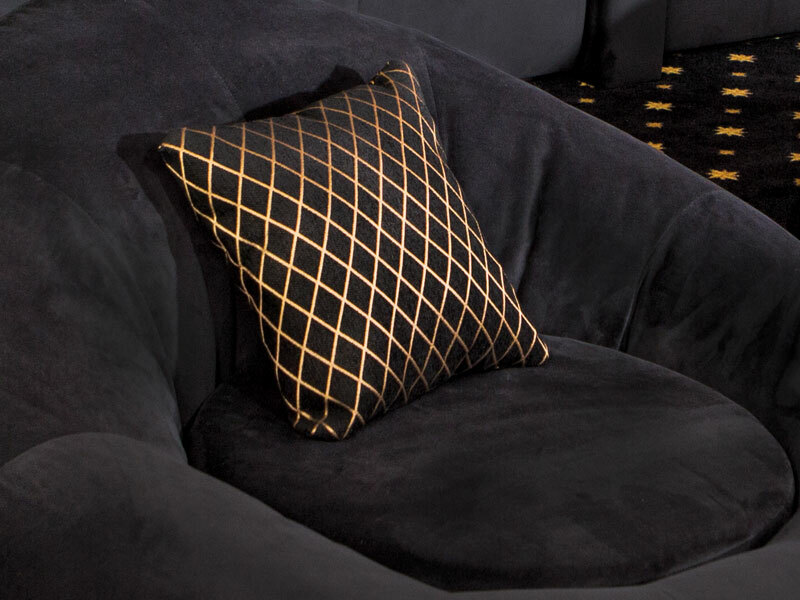 This high-quality grade of leather drapes around the front area of the chair to impart a luxury ambience. This leather is painstakingly chosen from the top third of all hides and then buffed to a smooth perfection, for an exceptional softness and pliancy. The look, feel, and even aroma of grade 8000 leather will instantly catch all of the senses for an opulent, all-in-one experience. As with all grades of full-grain leather, this material only improves in texture and patina over time, conforming to your body's natural contours as it ages. 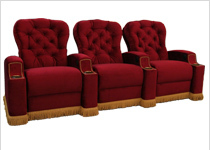 A series of rich, handsome color choices in solid shades will lend your multimedia sofa a commanding tone. He recommended the swatches for color, factored in our urgent timeline, and was able to find us the best solution to getting our couches in when we needed them. We are so pleased with Seatcraft, and will be purchasing from them again through Zack (probably next week!) to finish out our home theater project. REVIEW: We love this thing already. It arrives packed in a giant crate ready for sitting. So be prepared for that if you live in a Condo or walk up loft. Its not that heavy but arrives on a pallet and its fairly large. Its very comfortable and with the ottoman makes a nice area to relax with your special someone. Middle piece is removable for cleaning. Hardest part was choosing the color and waiting the 6-8 weeks. Ours was shipped just about on the estimated day we were given and arrived pretty quickly for such a large item. Just about 2 months exactly from order to cuddling. REVIEW: Got 2 of these for my room in fabric. Super comfortable. The bonus pillow is nice as well. This was a custom product so they made it to what matched my room. Shipping was straightforward and on time. Thank you.